Parr Cunningham Hockin | Launceston Then! Parr was born in 1778 to the Rev. Thomas Pearce Hockin and Rebecca (nee Cunningham Luxmore) Hockin at Okehampton. He was baptised on March 27th of the same year. His father was the vicar of Okehampton and also served as a magistrate. Parr trained as a solicitor eventually taking up practice in Westgate Street, Launceston. He married Mary Roe on May 30th, 1815 at St. Mary’s Church, Launceston. 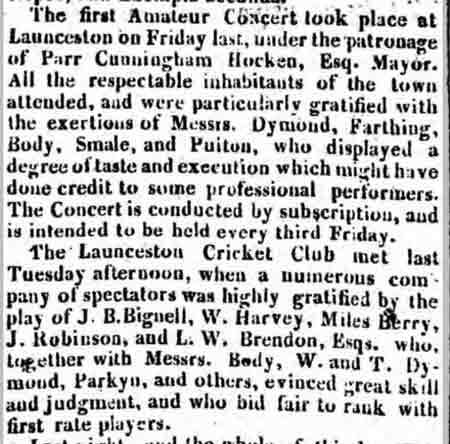 In 1816 Parr became the Mayor of Launceston a position that he later performed again in 1824 and 1831. It was during his second period of service that Parr was instrumental in improving Launceston water supply, and to this day his inscription can still be seen carved into the Southgate where there was once a pump. He was declared bankrupt on April 29th, 1828 at this time his occupation was described as a money scrivener. Parr died on April 23rd, 1838 at Launceston.